Welcome to a week of easy, handmade scarf tutorials. It’s Scarf Week – like Shark Week, but far less frightening! 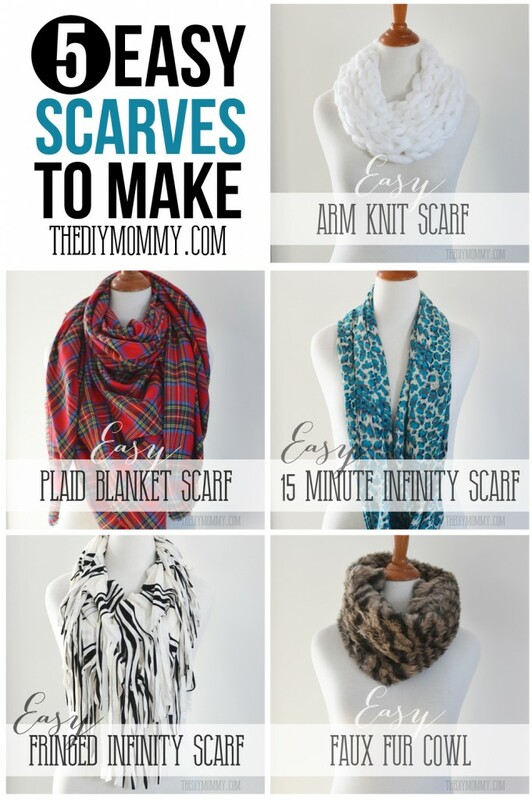 From today until Friday, I’ll share with you 5 super-duper-simple handmade scarf tutorials that would make great gifts for your friends and family this Christmas season. These are seriously easy to knock out. I made all 5 scarves in a couple of little girl nap times over two days! 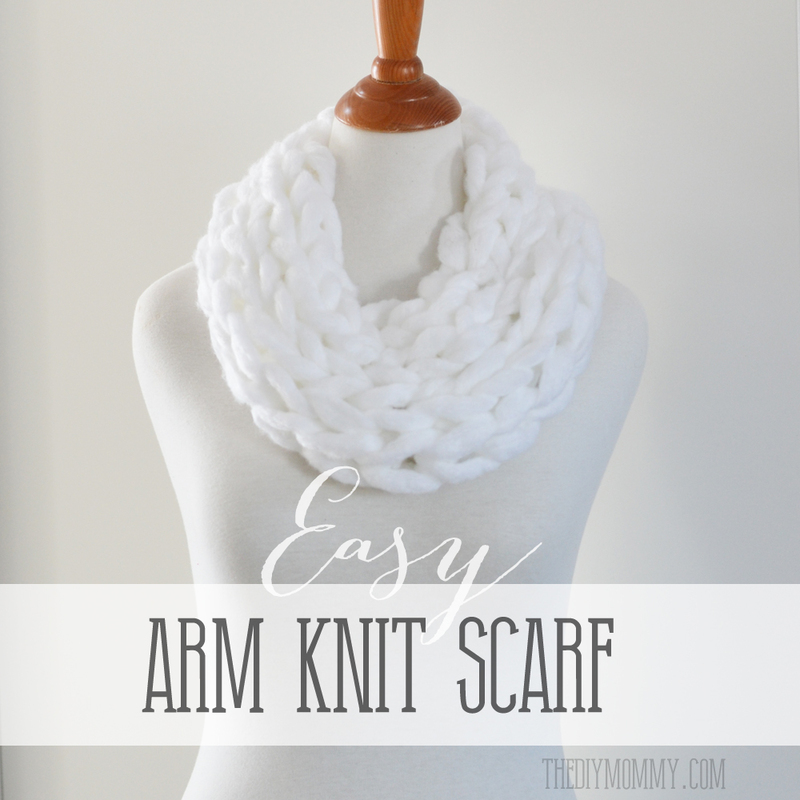 The first DIY scarf I want to share with you is a cozy, chunky arm knit scarf. I love how mine turned out! 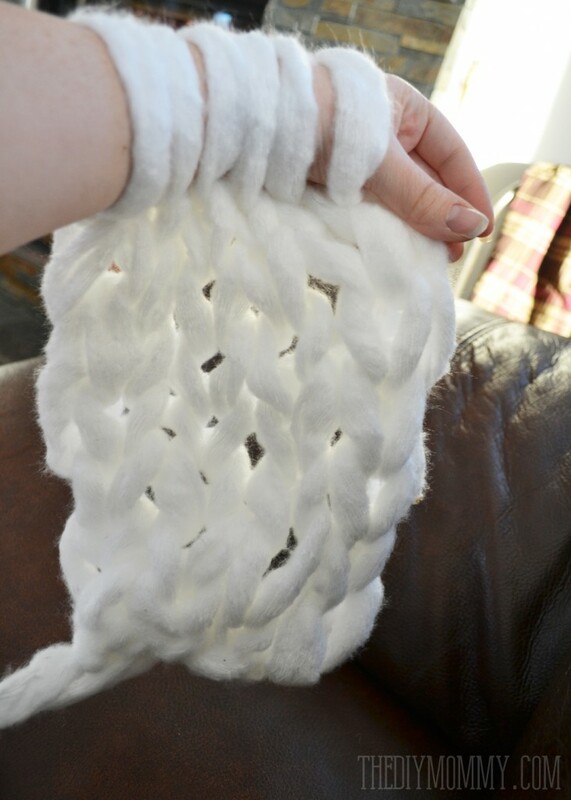 I’ve always wanted to try arm knitting, and it’s everything I imagined it would be. It’s SO fast, and a lot of fun. 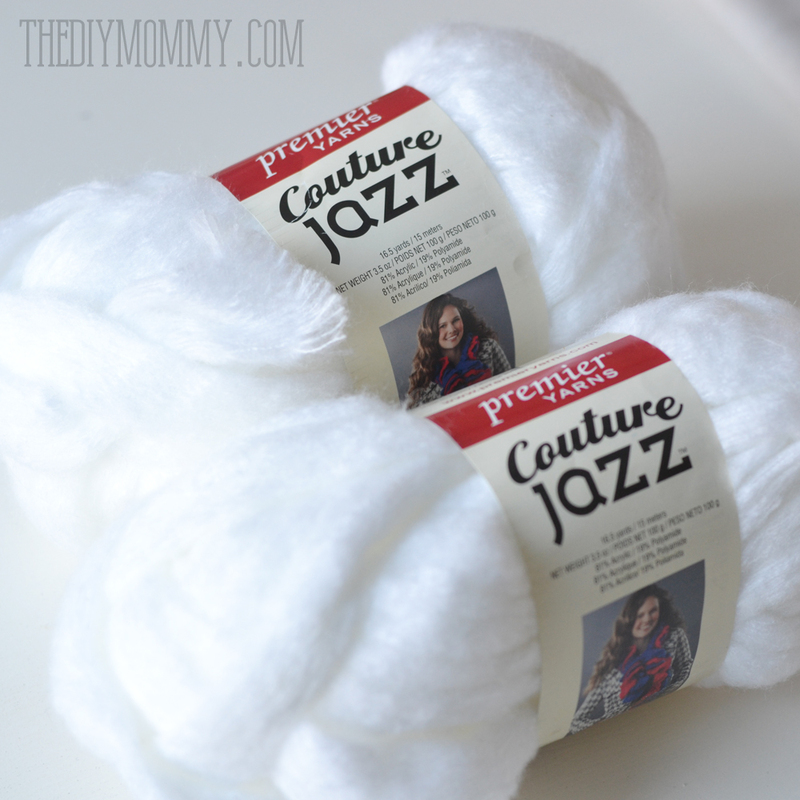 I think I’d prefer to use a really thick yarn like this rather than working with two thinner yarns together to avoid snagging and a lot of holes. Here’s my arm with yarn on it as I sit by the fire an knit. This thing seriously took me 20 minutes to make. That’s including me figuring out how to tighten the yarn on my arms the best to achieve an even gauge. I followed Maggie’s directions exactly except for when she joins the scarf ends together. I didn’t have a massive crochet hook, so I just used my fingers to stitch through the scarf ends. It worked just fine. So pretty, right? 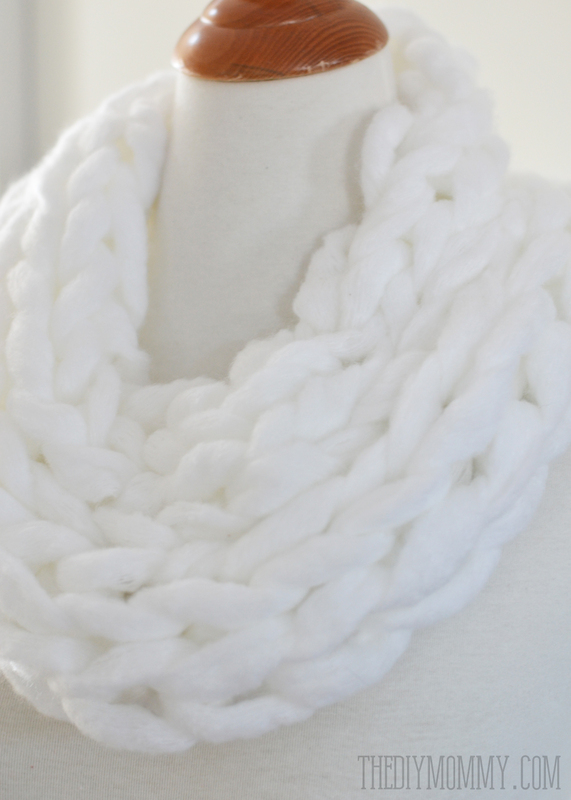 The one I made is more like a large cowl, and it’s very soft and warm. 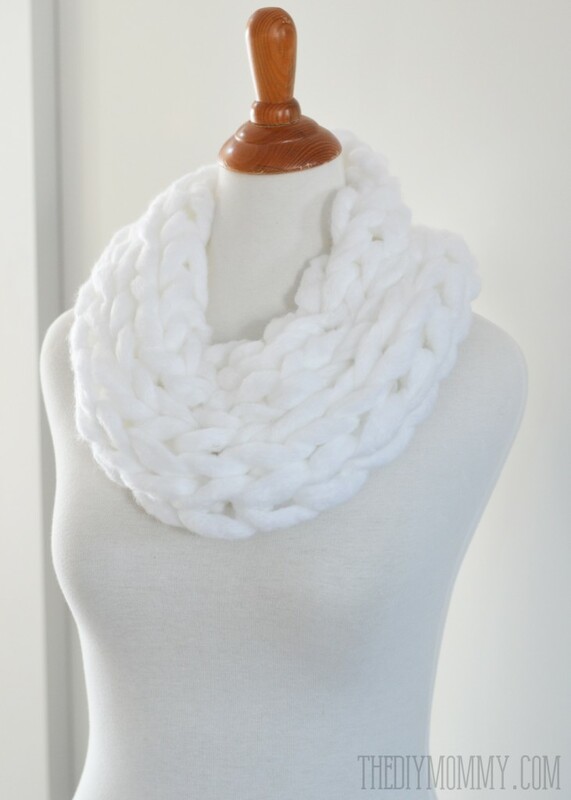 I’m going to try to make another one this week and I think they’ll make great Christmas gifts!